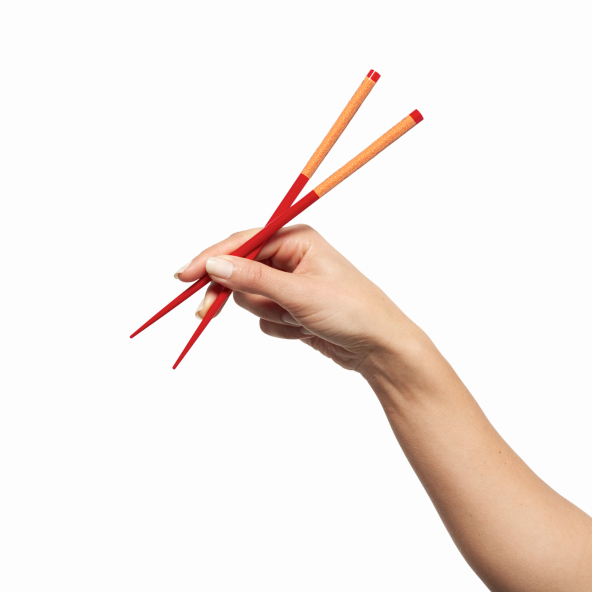 Ready for some delicious gluten free take out? I’ve got a great chinese recipe that I came across that is so yummy you’ll never miss the gluten. You’ll get a little messy making this dish in the kitchen, but the flavor is well worth the mess. Serve this with some steamed rice and you are all set. Mix ingredients for orange sauce in a small bowl and set aside. Place chicken pieces in large bowl and stir in egg, salt, pepper and 1 tablespoon oil. Mix well. Stir cornstarch and flour together and add chicken pieces, stirring to coat. Heat oil for deep-frying in wok or dutch oven to 375 degrees. Add chicken, small batches at a time, and fry 3 to 4 minutes or until golden crisp. Remove chicken from oil with slotted spoon and drain on paper towels; set aside. Clean wok or dutch oven and heat 15 seconds over high heat. Add 1 tablespoon oil and then add ginger and garlic. Stir-fry until fragrant; about 10 seconds. Add and stir-fry crushed chiles and green onions. Add white wine vinegar and stir 3 seconds. Add Orange Sauce and bring to boil. Add cooked chicken, stirring until well mixed. Stir water into remaining 1 tablespoon cornstarch until smooth and add to chicken then heat until sauce is thickened. Stir in sesame oil and orange zest if desired. Chef Lorena Garcia helped to create some healthier options at Taco Bell. 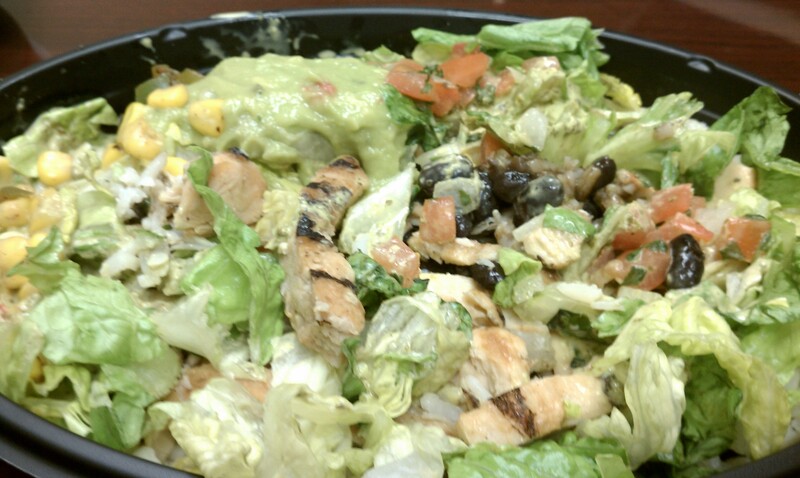 The Cantina bowl is one of those items and it happens to be listed as gluten-free. The bowl contains citrus marinated grilled chicken, black beans, guacamole, cilantro rice, pico de gallo and a cilantro dressing. This bowl was flavorful and really hit the spot. You can also get this bowl served with steak or vegetarian style. The chicken version has 560 calories, but this item does contain a lot of sodium so if you are watching your sodium intake you may want to skip this menu item. Glad to see some fast food options that are trying to be on the healthier side! The ragout in this recipe on its own is brilliant! I paired mine with some chicken breast lightly coated in olive oil, salt, pepper, oregano and granulated garlic and then sauteed until golden brown. This recipe is really simple and packed with lots of flavor. Hope you enjoy! Heat olive oil in a skillet over medium heat and add garlic. Cook for 30 seconds until fragrant and then add onions, rosemary and red pepper flakes. Cook gently for about 7-8 minutes until softened. Add the beans and bean liquid with water and season with salt and pepper. Let mixture simmer for 5 minutes. Stir in escarole or spinach and simmer until wilted. Add tomatoes, butter, parsley and cheese. Remove from heat and stir until butter is melted. Taste and season with additional salt and pepper if needed. You can drizzle with additional olive oil or flavored oil when serving. One of my favorite types of cuisines to prepare is Italian. I just love the flavors and aromas that come from creating Italian food. Of course Italian cuisine is typically loaded with gluten. Italians love their bread, pasta and pizza so cooking without the gluten can be a challenge. This recipe is already gluten-free and is a tasty way to prepare chicken during the summertime. I have visions of visiting Tuscany, Venice and Rome someday, but today I’ll share this deliziosa chicken pesto recipe with all of you. Heat a grill pan or outdoor grill to medium high heat. Spray the grill pan or outdoor grill with non-stick cooking spray. Sprinkle the chicken with salt and pepper. Grill the chicken until cooked through, about 4-5 minutes per side. Combine the spinach, pine nuts, lemon juice, and lemon peel in a processor. Lightly pulse. With the machine running, gradually add 1/3 cup of the oil, blending until the mixture is creamy. Add a good amount of salt and pulse. Stir in the Parmesan. Season the pesto with additional salt and pepper, to taste. 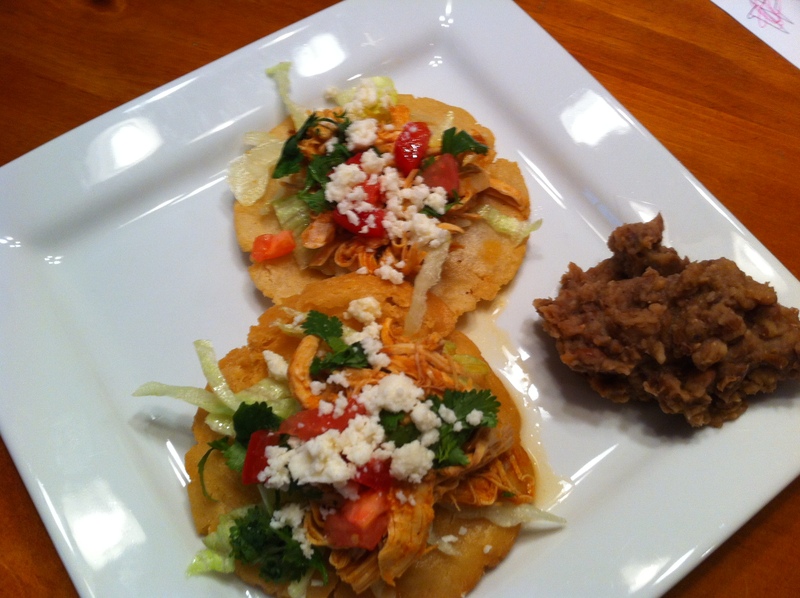 We enjoyed our Mother’s Day by making some homemade corn tortillas and frying them up to make Puffy Tostadas. They were very yummy. There’s nothing like the taste of a homemade tortilla made with corn masa. Enjoy! Combine all ingredients in a large bowl and mix thoroughly. When the dough is consistent begin rolling dough balls about the size of a ping pong ball. Place everything except the tortillas and oil in a crockpot or slow cooker and set to high for three hours or until meat is easily removed from the bone (the thickest part of chicken should read 180 degrees on a meat thermometer). Remove chicken and let cool, leaving sauce in the vessel. When cool enough to handle, pull the chicken meat from the bone and shred. Add shredded meat back into the sauce. Discard chicken skin and bones. Reduce crockpot or slow cooker to low and simmer meat in sauce for at least one additional hour (the longer the better). Meanwhile, pour vegetable oil into a frying pan until 1/4″ deep. Heat oil to 350 degrees or until a flour tortilla “puffs” up and browns quickly. Add one flour tortilla at a time into oil and fry one side until lightly browned. Flip over and fry the other side until lightly browned. Remove from oil, add a pinch of kosher salt and place on a cooling rack. Repeat until desired number of Puffy Tostada Shells are done. Serve with lettuce, tomato, cilantro and queso fresco cheese. It’s getting to be a lot warmer here in the southeast so I like to serve a lot of lighter salads and grilled fare for dinners. 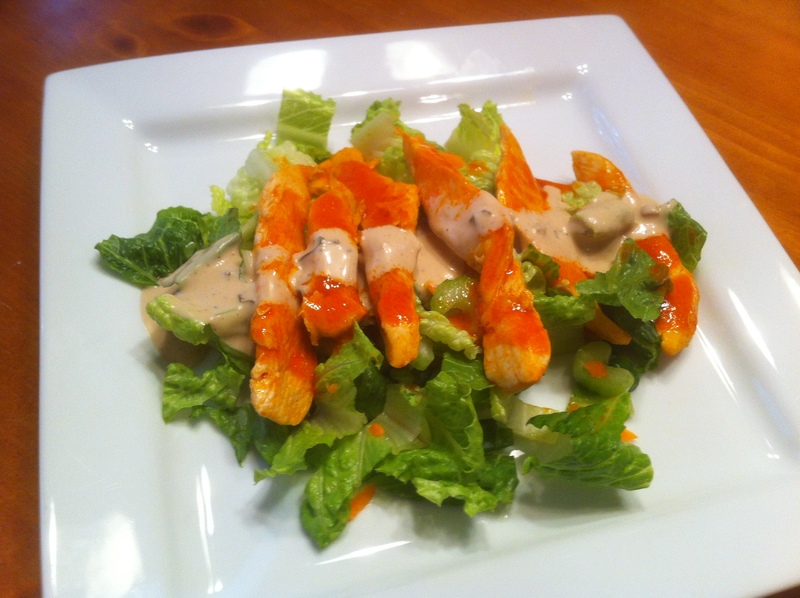 We tried a recipe for a buffalo chicken salad and it was really yummy and completely gluten-free. The chicken strips were juicy and the salad had all the yummy flavors of a buffalo chicken sandwich just without the bread. Preheat broiler in oven. In a large bowl combine hot sauce and olive oil reserving about half for later. Add chicken to bowl of pepper sauce and toss until well coated. Arrange chicken on baking sheet and broil for 4-6 minutes turning over halfway through cooking. In a large bowl combine remaining ingredients and toss. Serve salad topped with chicken and blue cheese dressing. Drizzle chicken with additional buffalo sauce for extra kick. Spoon yogurt onto folded paper towl and place in refrigerator for 20 minutes to drain and thicken or try using greek yogurt. In a medium bowl, whisk buttermilk, yogurt and mayo until smooth. Add vinegar and sugar and whisk. Stir in blue cheese and season to taste. I was flipping through the May issue of my EveryDay with Rachel Ray Magazine which happened to feature 10 different styles of fried chicken. Immediately after reading this issue I was craving….you guessed it….fried chicken. Once of the styles featured was gluten-free so I decided to try my hand at it this weekend and it was soooo good. 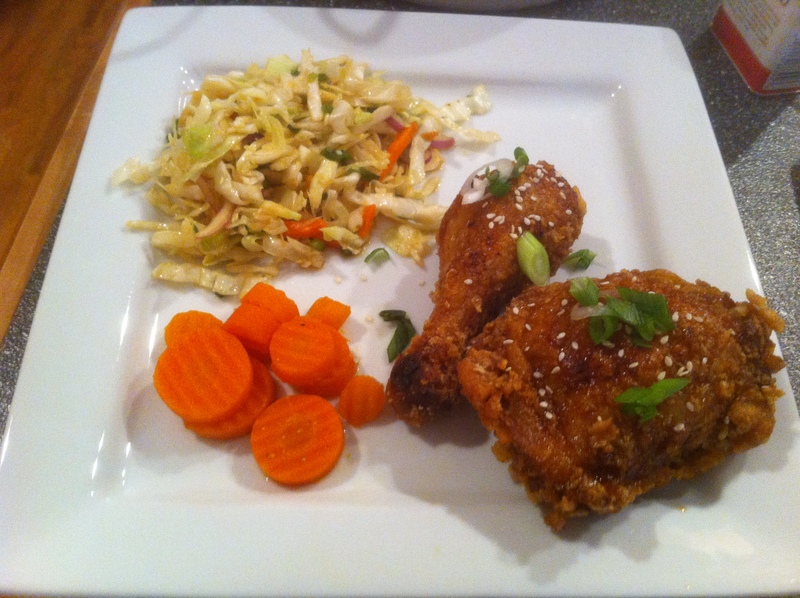 Crispy and flavorful, this fried chicken was mouthwatering. Combine all above ingredients in a large ziploc or brining bag and let marinate for at least 30 minutes or up to 12 hours. 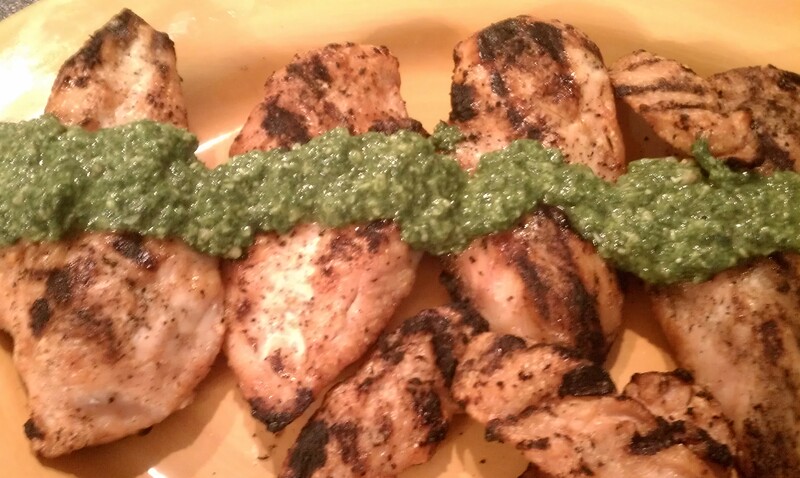 Remove chicken pieces from marinade, but don’t toss out marinade. Coat chicken pieces in seasoned cornstarch and let set on parchment lined baking sheet for 15 minutes then coat again. Meanwhile heat oil or shortening in cast iron skillet to 350F. Carefully fry chicken in batches and cook for 25-30 minutes total turning over halfway through cooking. In a small saucepan boil remaining marinade for 3 minutes and then strain. Add 1/4 c honey and 1T rice wine vinegar to the sauce. Once chicken is fried brush on sauce and garnish with sesame seeds and sliced scallions. 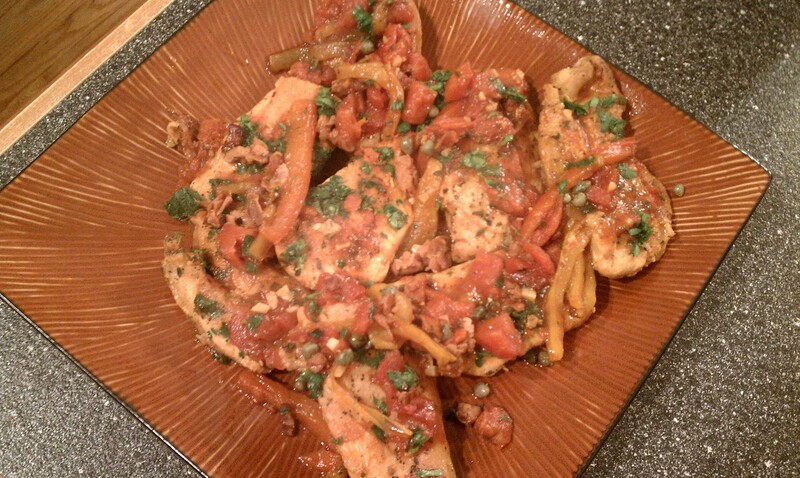 Yesterday I was in a mediterranean mood so I decided to make some roman chicken and it turned out favoloso! The crispy proscuitto and sauteed peppers and garlic are enough to make anyone’s mouth water. Give it a try! Season chicken with 1/2 tsp each of salt and pepper. Heat olive oil in large heavy skillet over medium heat. Once oil has gotten hot cook chicken until browned on both sides. Remove chicken from the pan and set aside. Add peppers and prosciutto and cook until prosciutto is crispy. Add garlic and cook for 1 minute. Add your tomatoes, wine and herbs scraping up the bits in the bottom of the pan. Return the chicken to the pan and add your stock. Bring to a boil and reduce heat to low and simmer for 20-30 minutes until chicken is cooked through. Add capers and parsley and serve immediately. I served this dish over some fluffy white rice and then some vegetables. You could also pair it nicely with a yummy salad. Yesterday I made this amazing chinese stir fried chicken reminiscient of what P.F. Chang’s calls their Chang’s Spicy Chicken. 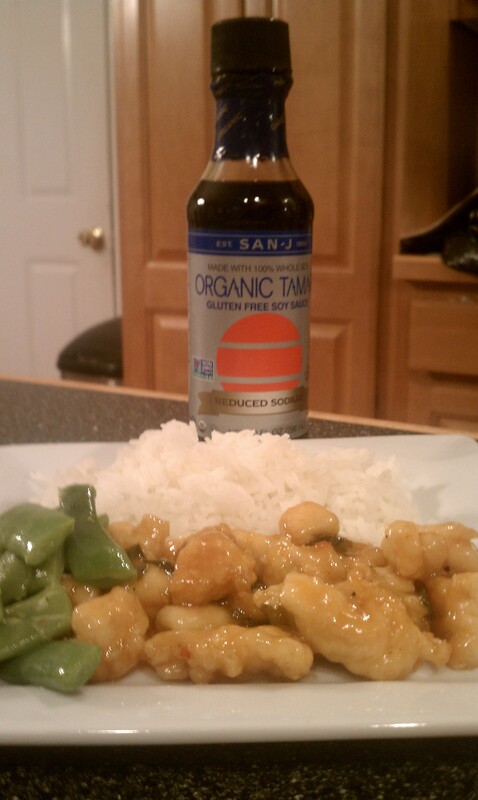 I tried using a new gluten-free soy sauce and I was very pleased with the flavor this recipe produced. 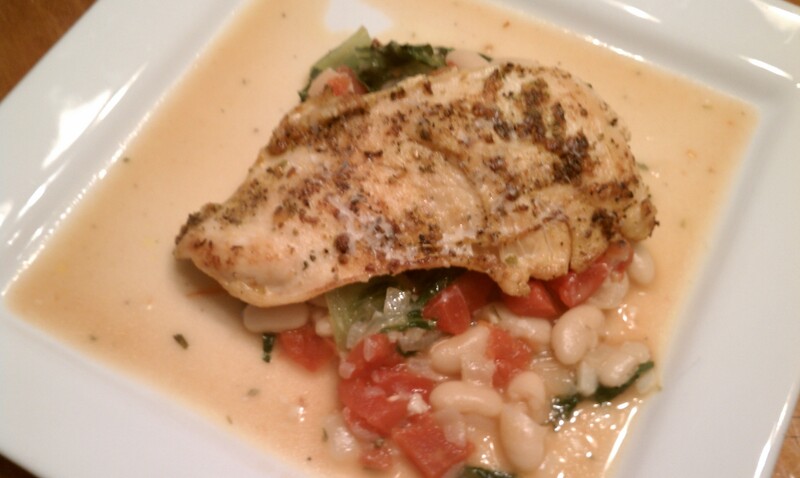 I served this chicken alongside some jasmine rice and simple green beans. Heat oil in a medium saucepan and saute garlic and scallions for about 20 seconds and then add your pineapple juice, chili sauce, vinegar, sugar and soy sauce. Dissolve cornstarch in 2 T water and add to saucepan. Bring mixture to a boil and then turn down to simmer for about 5 minutes until thick and syrupy. Heat another 1/2 C vegetable oil in a large wok or saute pan over medium-high heat. While oil is heating coat the chicken pieces in cornstarch until they are all dusted. Saute coated chicken in hot oil until lightly browned and then drain on paper towels. You may have to cook your chicken in batches to prevent the pan from being too crowded. Once all chicken has been cooked pour it in a bowl and add sauce. Toss to coat the chicken and then serve immediately. 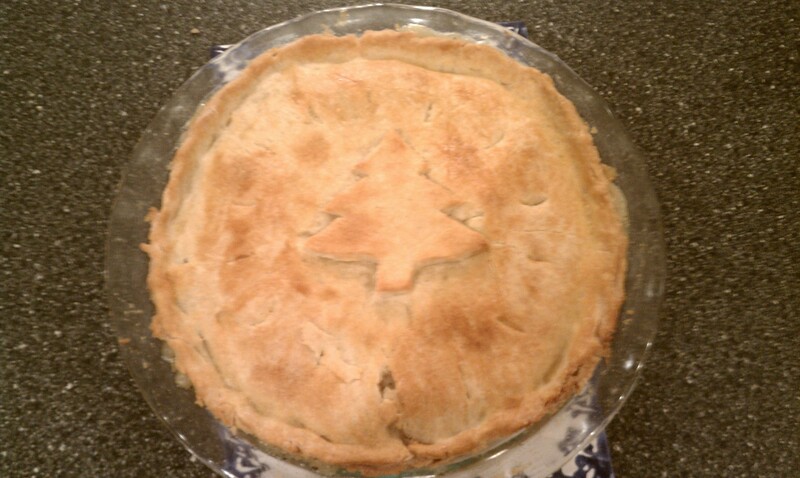 Look no further for the perfect gluten-free pie crust…..I have found it courtesy of Betty Hagman! I decided to make a chicken pot pie this weekend and this recipe for the pie crust and the filling was absolutely out of this world. Feel free to use this crust recipe for all your pies though because it is so light and flaky……I was delighted. My Thanksgiving pie crusts were not the greatest so I’ll be updating my pie recipes to include this new crust recipe for pie perfection. Blend flour mix, xanthan gum, salt and sugar. Cut in your shortening until coarse crumbs form. In another bowl beat the egg and vinegar with a fork and then add your ice water. Stir egg mixture into your dry ingredients until dough forms a ball (you can use a dough hook on a mixer if you have one, but I did this by hand). Work dough with hands until it forms a smooth texture (add more ice water if it still seems crumbly). Wrap dough in plastic wrap and refrigerate for at least 30 minutes or overnight before rolling out. When ready to roll divide dough in half and place between 2 sheets of wax paper dusted with some rice flour. Make sure pie plate is coated with non-stick cooking spray before placing crust inside. Preheat oven to 450F. Boil chicken, carrots and celery for 15 minutes in a saucepan half filled with water. Remove chicken and veggies from pot and set aside to cool. In a large pot over medium heat melt butter and then cook onions until translucent. Stir in flour, xanthan gum and spices. Add the soups and broth and simmer for 5-10 minutes until thick. If your mixture gets too thick add more broth as needed. Baste the bottom crust with half of the whisked egg and then fill crust with chicken and veggies. Pour your soup mixture on top and then cover with top crust. Pinch the crust together and then baste with remaining egg wash. Cut 4 slits in top crust and bake pie on cookie sheet in oven for 25-35 minutes until golden. Check your pie about halfway through cooking process and cover outer crust with aluminum foil if it is getting too brown.